Discover the different types of attacks out there and what risks they pose to your business. Today is International Data Privacy Day. With cyber-attacks becoming more sophisticated and frequent than ever, Data Privacy Day is an international day to raise awareness around data protection and encourage us to keep our data safer in an increasingly risky online world. Over the last year or so, the way in which we treat data has taken a significant step in the right direction. We’re now considering, more than ever, where our data is held, who it is available to and our rights to know exactly how it is being used. But, more can always be done to protect our data. So, today we thought what better way to celebrate Data Privacy Day than with our top tips to keeping your business data safe? Here’s four things you can do, right now. In order to protect your business from cyber-threats, you first have to know what threats are out there. In a report by Infoblox, advanced malware, ransomware, phishing and social engineering are the most dangerous threats to businesses today. These attacks are carried out by opportunistic cybercriminals with the objective of stealing or destroying your data. It’s therefore crucial that you research the threats that are out there. What they do? And how you can protect your business against them? Every day, most of us will tune into some news website or another to stay on top of the latest trends. But have you ever thought to look specifically at the cybersecurity news? Well, if you need to get started, there are tonnes of cybersecurity-dedicated news websites out there for your perusal. All you need to do is type ‘top 10 cybersecurity news channels’ into your search bar. Then get to work finding the best, most up-to-date news in the online security world. This step is the easiest way to help protect your business and prepare for potential attacks. 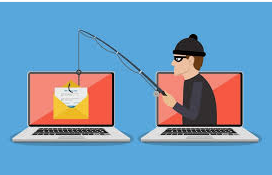 The most common way a cybercriminal will try to infiltrate your organisation is through malicious phishing emails. According to research by cybersecurity organisation Symantec, 71% of all targeted attacks last year started with spear-phishing emails. Are you and your team trained to spot and report suspicious emails? Do you run phishing simulations to help encourage a secure employee culture? If the answer is no to either of these questions, you might want to consider some basic training for your team to avoid the inevitable attacks hitting your business through email. Although there may be a growing number of cyber-threats putting your business at risk every year, there are also plenty of ways you can fight them. Comprehensive security suites like PROsecure™, include a bundle of threat monitoring, proactive response and attack-fighting technology to ensure that any threats to your business are identified, diagnosed and neutralised. Investing in appropriate and sufficient protection is absolutely vital to safeguard your business data against the rising number of cyber-attacks. We hope you take the opportunity this Data Privacy Day to review and improve your security measures. If you need specialist advice on how best to secure your business, don’t hesitate to call one of our security experts today on 0800 231 5680. All built in-house by our security experts, the PROsecure™ bundle brings you real-time monitoring, proactive response, protection from layer 7 attacks, DDoS flood attack protection and so much more.